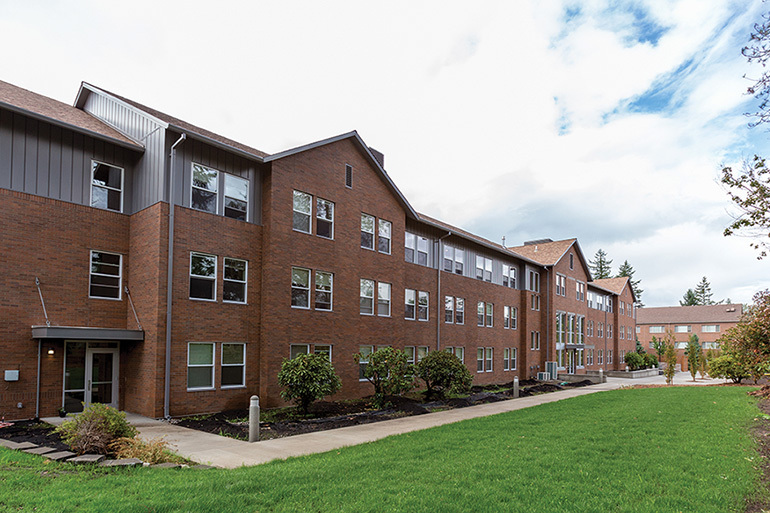 When George Fox was founded in 1891, its creators envisioned two things: a challenging educational experience and a community where students could deepen their faith in Christ. This focus on the whole person – what we describe today as our “Be Known” promise – remains as vibrant and relevant now as it was 125 years ago. 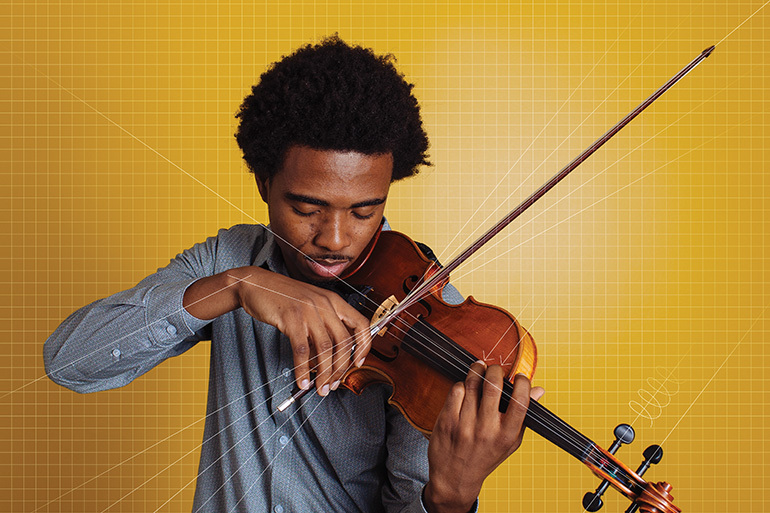 It’s a promise that compels us to focus on the individual in such a way that it ignites faith, empowers a vision for the future, and prepares students for a world of diverse and ever-changing vocational opportunities. As the oldest Christian university in Oregon, we strive to be leaders and innovators as we move forward into a new era of higher education. 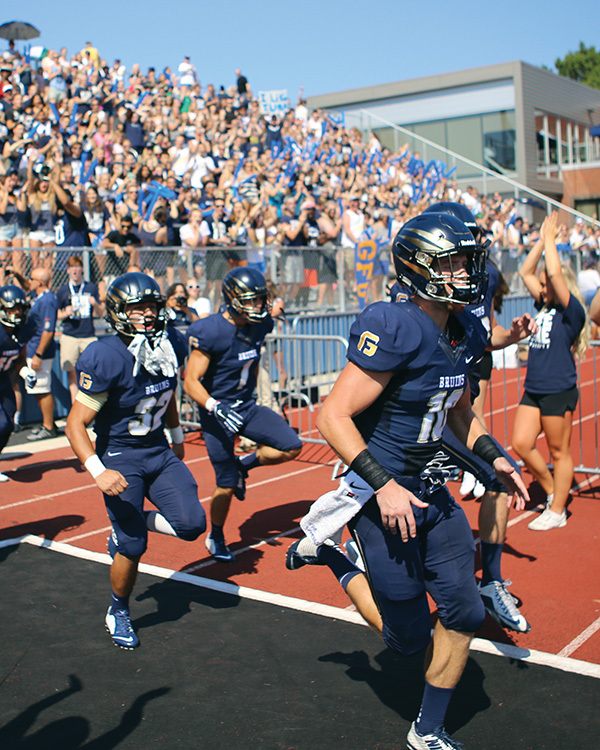 But the core of who we are remains unchanged: At George Fox, you won’t just be a number. You will Be Known. Friends Pacific Academy began in Newberg in 1885. It offered a five-year course of study (later expanded to six), with the first two years at the elementary level. 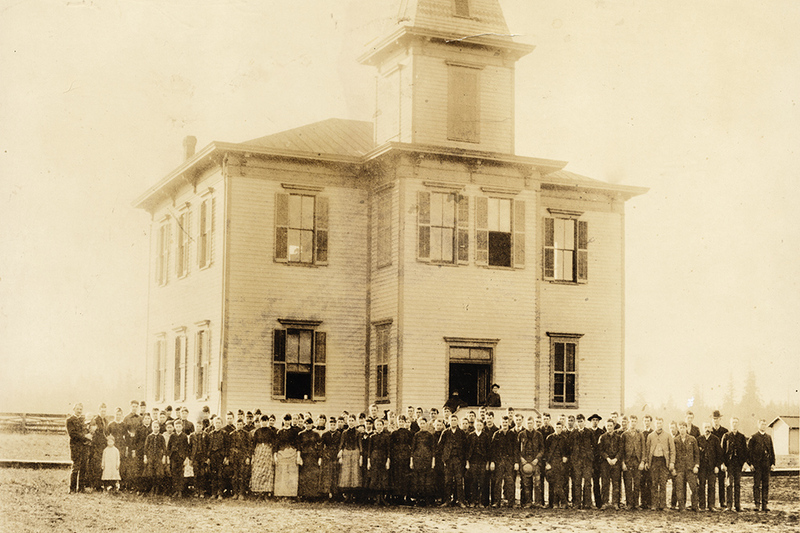 The desire to provide further education led to the founding of Pacific College in 1891. 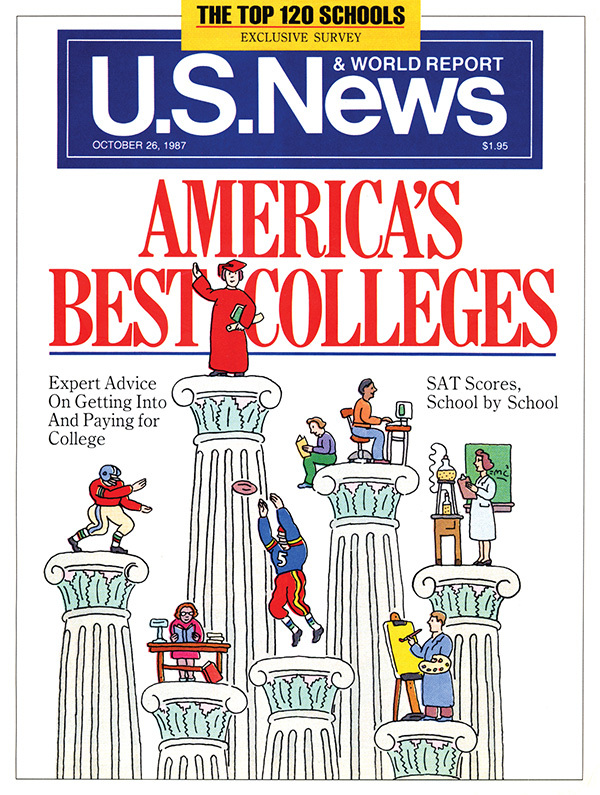 At 2 p.m. on Sept. 9 of that year, college classes began with a total of 15 students. 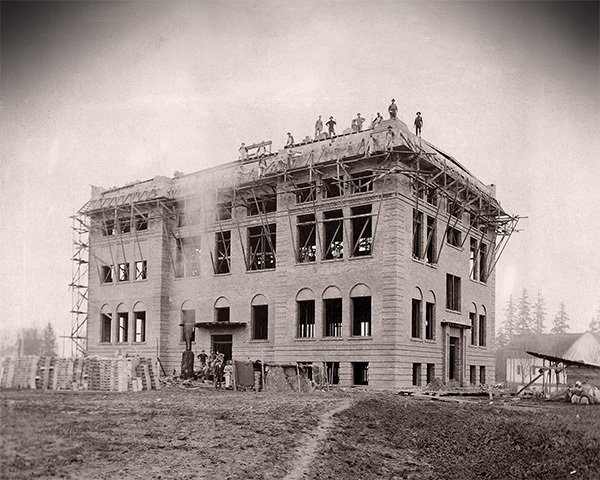 The academy and college together enrolled 151 total students that year – impressive considering that the 1890 census recorded a population of just 514 in Newberg. It was located between Third and Fourth streets, where the Newberg Friends Church now stands. Not surprisingly, the city named the north/south street “College Street.” The following year the school moved to its present location in northeast Newberg. Tuition for Pacific College students in 1891 was $8 to $12 per term, and staying in the College Boarding Hall cost $2.50 per week, making the total school year’s cost about $120 (approximately $3,000 in 2016 dollars). As the first of three annual terms approached in the fall of 1891, President Thomas Newlin invited students interested in both the “regular College course” (review work, the practical business course, vocal or instrumental music, and art) and the “Normal Course” (for current or prospective teachers). “If your wants lie along any of these lines Pacific College is able to satisfy them. We desire to stand for that which is permanent and useful, being opposed to shams and pretensions in education,” the president announced in the Newberg Graphic. In 1949 I was attending Nazarene Theological Seminary in Kansas City when I learned the board at Pacific College wanted to make a name change to avoid confusion with a neighboring institution. One of the names under consideration was “Friendswood.” I don’t know why they were considering it. Maybe because they had friends in the woods, I guess. Well, the name didn’t sit well with me. Friendswood is a town in Texas and has no business being the name of a college. I wrote a letter suggesting they name it after the founder of the Friends church. At the time I was studying church history at the seminary, engrossed in comparing Quaker history with Nazarene history, Wesley and Calvin. I thought, “Well, there’s Calvin College and there’s Wesleyan University, but, in terms of the Quaker heritage, there’s only William Penn University in Iowa and Whittier College in California, which is named after a poet.” I thought the founder of the church needed to be named, to give him distinction. And so I made a case for naming the college George Fox. I honestly don’t know how the letter was received, and I can’t remember how I learned they had changed the name. But I do remember getting some thank you notes for making the suggestion, so the board must have appreciated what I did. I myself was very pleased when I heard of their decision. I was grateful that the school would honor its heritage in this way. It affirmed that we were not just Wesleyan people. The Wesleyan revivals had made an impact, and many Friends churches were not very steeped in their own tradition, so I think this helped to remind us of our roots. I’m pleased that somehow the Lord used me to keep our historical base in the midst of change and adaptations. I find it interesting that a college board listened to a graduate student studying the history of the church – that they paid attention to me. That’s probably the most interesting thing about the whole story. And then, a few years later, board member Dean Gregory came all the way out to New Hampshire to talk to me about returning to George Fox. 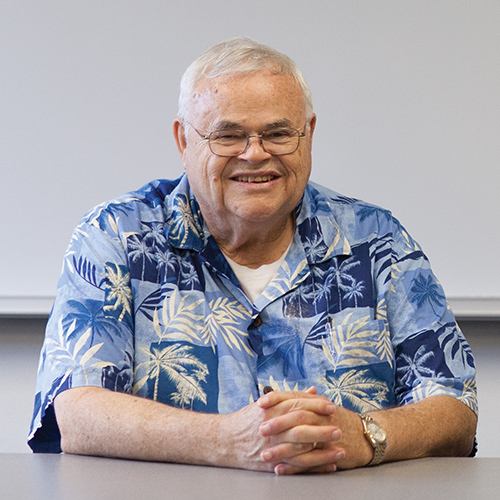 I could have gone to other schools and taught, but I felt this is where the Lord was leading me, so I ended up as a professor at George Fox from 1953 to 1987. What I really appreciate is the fact we still honor our history. 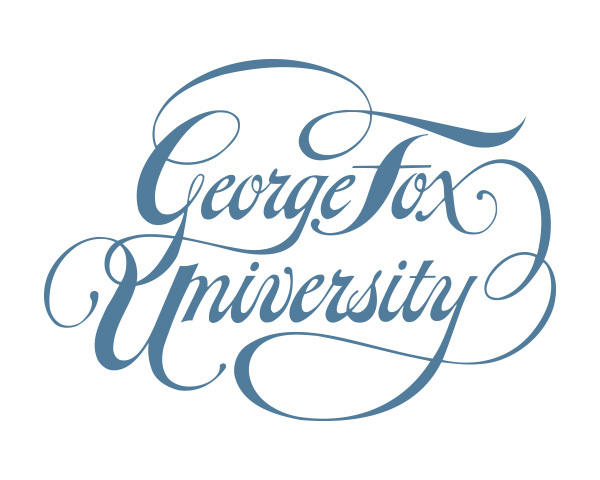 You look at the George Fox catalog and the website and you can read about the history. 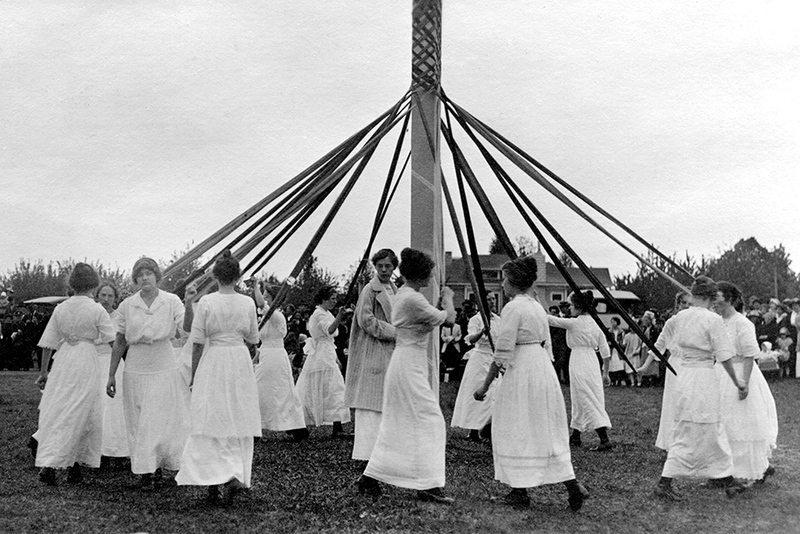 I’m pleased that Northwest Yearly Meeting retained its connection to the college, whereas back in the Fundamentalist-Modernist split a lot of denominations separated themselves from their schools, and the schools became secularized. George Fox has retained its roots, and that’s something I’m very happy about. Be Known. It’s been the university’s marketing slogan since 2010, and from my experience it’s real. But it’s not a new concept on campus. For decades it was nearly impossible not to be known. Back when enrollment was fewer than 1,000 – a benchmark first reached in 1990 – you were known, literally, by nearly everyone. There’s nothing magical about that number, but once it was eclipsed it seemed you were no longer able to greet everyone by name as you passed on campus. While that was a noteworthy transition, the increase in enrollment and the additional tuition revenue it brought made many positive things possible: new buildings, programs and initiatives – a process that has continued for more than a quarter century. When I started at George Fox as a student in 1960, enrollment was 179. For every student I encountered then, there are now 23. The campus is simply busier. Just as impressive has been the physical transformation. When I started there were 12 buildings. Just three survive: Minthorn Hall, Wood-Mar Hall and Hester Gym, now renovated into the Ross Center. Today the campus has 90 buildings and landmarks. That kind of change might seem overwhelming, but it’s not. After all, one of my roles at the university – working with four presidents – was adding more than 80 of those 87 new buildings to the campus map. I see the growth as positive, mixed with some nostalgia for the “good old days.” The intimacy of a small campus was really like an extended family. To get our mail we went after chapel, just before noon, to the foyer of what was then the dining hall, where everyone pawed through the mail. There were no individual private boxes. Instead, everyone with last names beginning with the same letter shared a box and you sorted through it. We also were alphabetized for chapel seating assignments. I sat for years next to June Hubbard (now Brown), a 1963 graduate. In classes, attendance often was recorded, but you didn’t really need to be alphabetized. With sometimes as few as six students, the professor could easily tell who was missing. 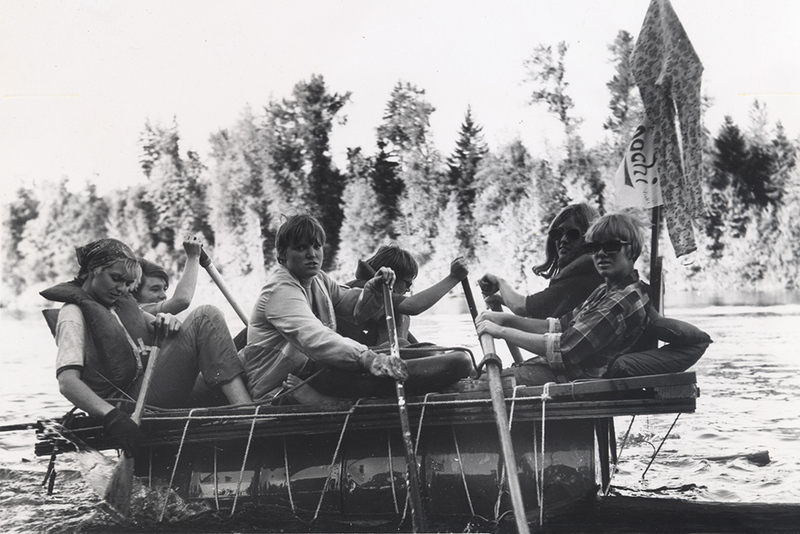 When I started as a George Fox employee in 1968 (a role I continue on a part-time basis after 48 years) enrollment was 392 and there were 94 employees. Compare that to 1,095 employees today. Then it was nearly a missionary effort more than just a job or paycheck. You would lend your skills, in whatever field, for a few years to help this struggling school that had a strong sense of mission but limited resources. Everyone pitched in no matter the task – you did what needed to be done. And, perhaps nostalgically, it led to a team spirit and camaraderie that’s difficult to replicate. What has not changed despite the growth? The spirit, the togetherness and the atmosphere. When I walk on campus today I get the same feeling I remember from decades ago. I’m home. Former U.S. Senator Mark Hatfield may have said it best in 1999. 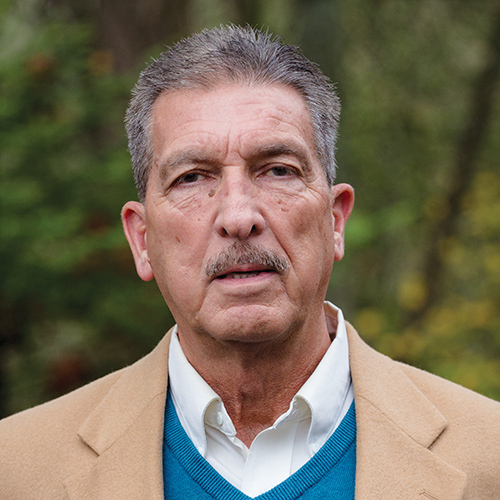 He had visited many campuses across America and chose to end his career as a professor at George Fox. “You know there’s something different about this university the moment you walk on this campus,” he said. “There’s a beauty here, a tranquility, a friendliness.” He was right. From my experience it’s been that way for decades and continues today. Each year hundreds of new students learn what it means to Be Known, just like I did back in 1960. I enrolled at George Fox in the fall of 1969 to study chemistry. My father, Russel Stands, was a Friends minister, and my mother, Frances Stands, was a school cafeteria worker and librarian. They believed a good education was important and always encouraged me in school. 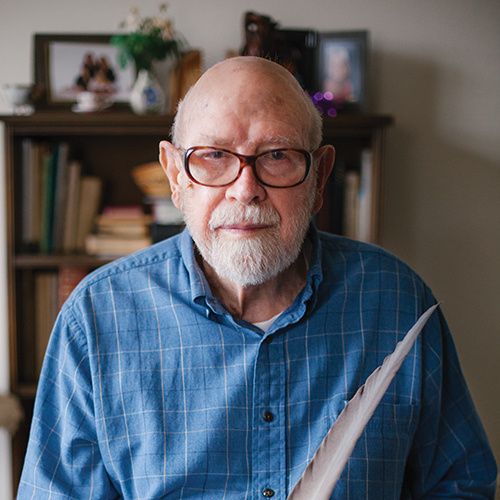 While making my decision about which university to attend I built a relationship with chemistry professor Hector Munn, and he tipped the balance to George Fox. That was the beginning of a theme I recognized throughout my life, which was reinforced at George Fox: It’s about the people. To me, success is really about relationships with others. My time in college taught me to believe in myself, but also showed me the importance of surrounding myself with smart, capable people. Working together, you can solve problems and do something greater than you could by yourself. This lesson has served me well throughout my leadership career. Munn was just one of many great professors. 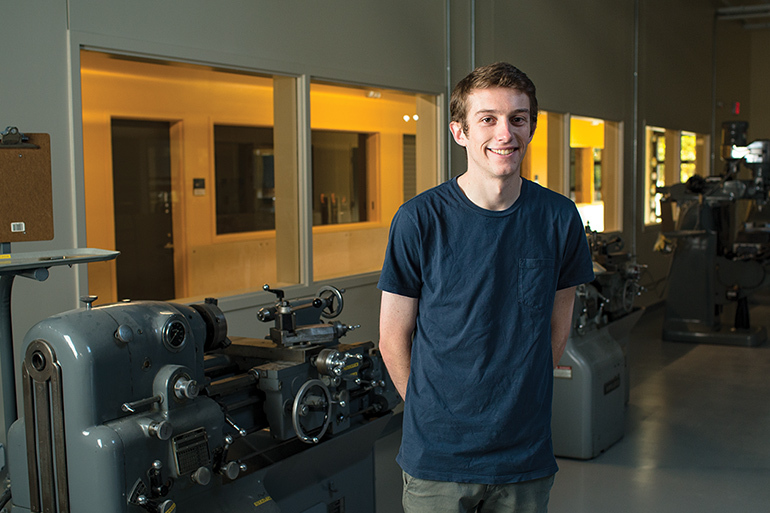 Evan Rempel, by choosing me to be a teaching assistant, taught me I didn’t want to teach. Dennis Hagen, who conducted the orchestra in which I played the flute, reinforced the importance of practice and competition to be your best. Donald Chittick helped me locate my first job in chemistry. But it wasn’t just the professors – I also met my lifelong best friend, Judy (Warner) Miller, at George Fox. All these people continue to influence my life. I’m a big believer in the “10,000-hour rule” – the amount of practice required to master a skill. George Fox set me on the right path for a career in chemistry and eventually leadership by teaching me the importance of practice and discipline. The ability to learn and practice, and to be independent in doing that, has been critical to my success. 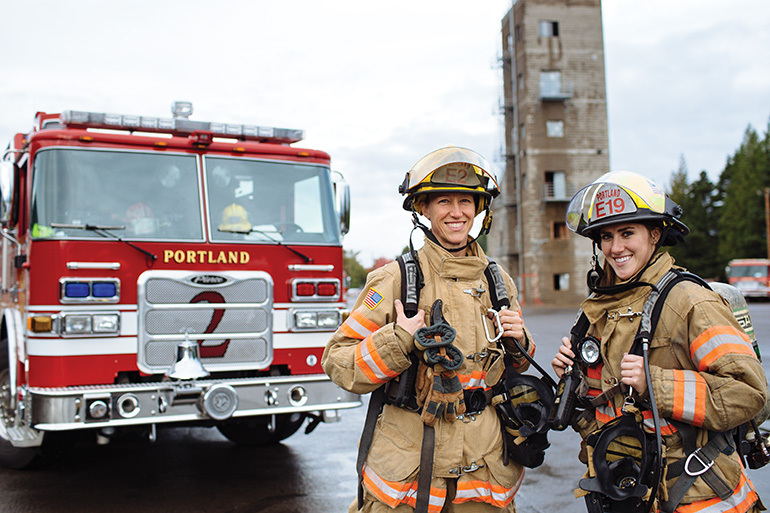 Being determined and tough during difficult times and viewing setbacks as learning experiences were also key lessons from my time at George Fox. It wasn’t just my time attending but also the relationships developed since graduation that have continued to help me learn. Presidents Ed Stevens, Dave Brandt and now Robin Baker have been leaders I have been able to work with and learn from as a member of the university’s board of trustees. Watching these presidents build consensus in meetings and listen to opinions from many different viewpoints to formulate a decision has helped me appreciate the subtleties of good leadership. 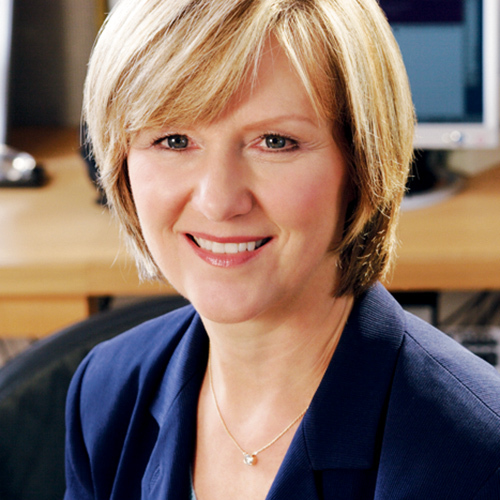 In my own position of leadership at PGE, I tried to create a climate of open, honest communication while maintaining the courage to be myself and lead with my own style. Even this year, watching the success of the George Fox golf teams thanks in no small part to the coaches, parents and community surrounding them is a good reminder that it is still about the people. Looking back to 1969, I would have never guessed what wonderful opportunities, experiences and friends I would have encountered throughout my life’s journey. I am extremely grateful to the George Fox University community. Congratulations on 125 years of serving people and the community! For the longest time I thought that God would have picked the wrong person if he picked me to pursue ministry, much less be a leader within the church. It was the same old cliché story: I had a stutter, and I stammered, and I didn’t like being in front of people. Even worse, I was convinced that I was too broken, that I wasn’t good enough to be the person God had created me to be. Things just didn’t add up for me to pursue something that seemed so counter to who I thought I was. I carried this with me throughout my time at George Fox. I still studied youth ministry, took all the right classes and continued my education alongside my peers in the Christian ministries major. I was learning, being challenged and constantly reminded of God’s love, yet I didn’t believe it for myself. Steve grabbed my shoulders, looked me in the eyes and said, “Shawna, you are never too broken for God.” I replied, “Yeah, OK Steve, I know that.” Then he said it again: “Shawna, did you hear what I said? You are never too broken for God.” I couldn’t say anything as tears streamed down my face. It’s such a vivid memory because I had heard that many times, but it’s the first time I believed it. It was in that moment, in the very last semester of my senior year at George Fox, that my call to ministry became real to me. I felt a deep desire to share with those around me what I learned to be true on that day: We are all loved and we are all good enough. Not long after that experience I graduated and accepted a position as the youth pastor at North Valley Friends Church, working with middle school and high school students. I also serve as chaplain for the George Fox women’s basketball team. More than anything in these positions, my priority is building relationships with my students. I want to be the person who tells them, day after day, that they are loved, that they are good enough, and that they are never too broken for God. And if they can’t believe that for themselves, I will believe it for them until they can – just like my professors at George Fox did for me. 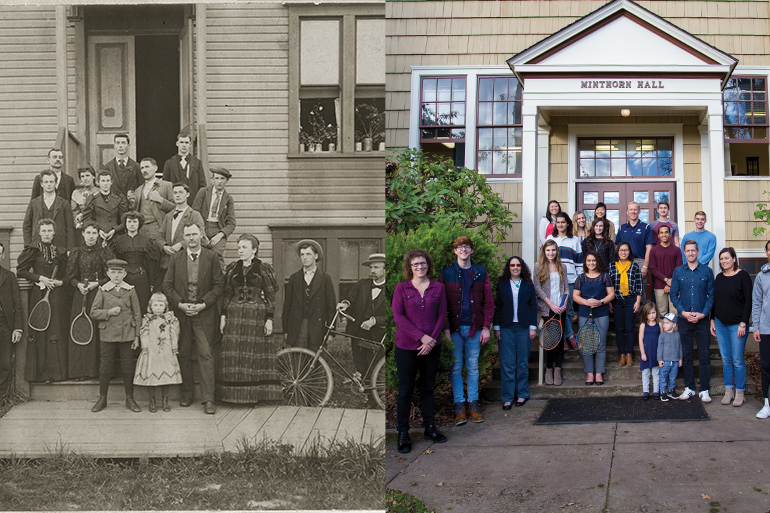 Visit georgefox.edu/125 to view then & now photos, a timeline, a list of 125 notable people from university history and more. Pacific College opens its doors with 15 students. 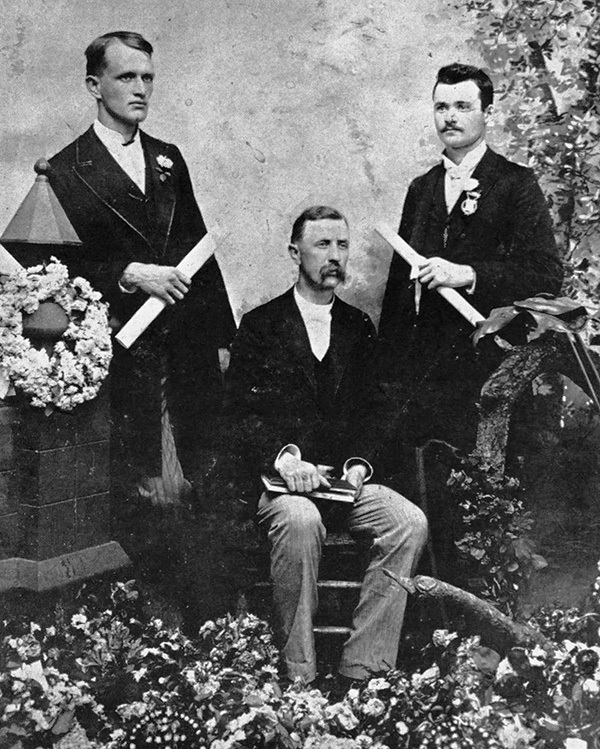 In 1893, it graduates its first class of two students. Construction is completed on Wood-Mar Hall thanks to $30,000 raised by Evangeline Martin and Amanda Woodward. The school’s name is changed from Pacific College to George Fox College (see story above). 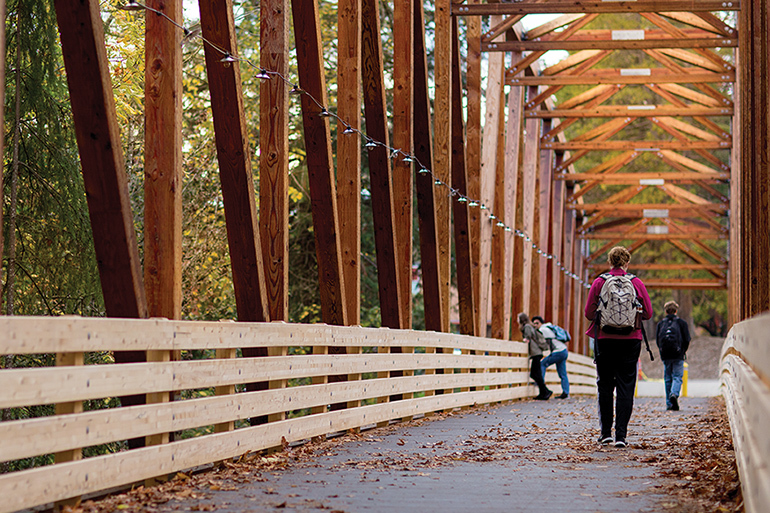 The Northwest Association of Secondary and Higher Schools grants George Fox accreditation, a major factor in the small college’s early survival. 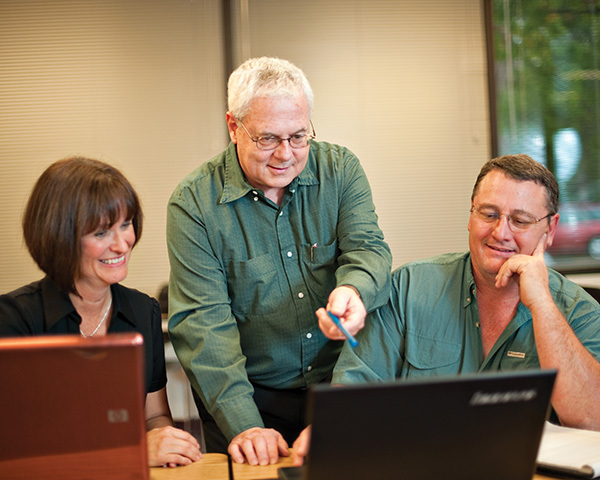 George Fox is the first in the Northwest to offer a degree-completion program for working adults. U.S. News & World Report ranks George Fox as one of “America’s Best Colleges” for the first time, an honor the school has received 29 times. 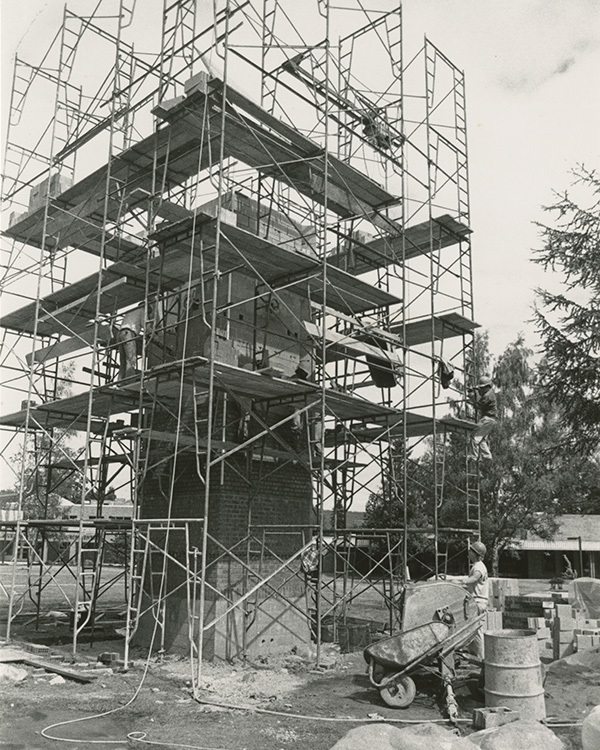 George Fox celebrates its 100th birthday, which includes construction of the Centennial Tower. The school merges with Western Evangelical Seminary and changes its name to George Fox University (see pg. 38). 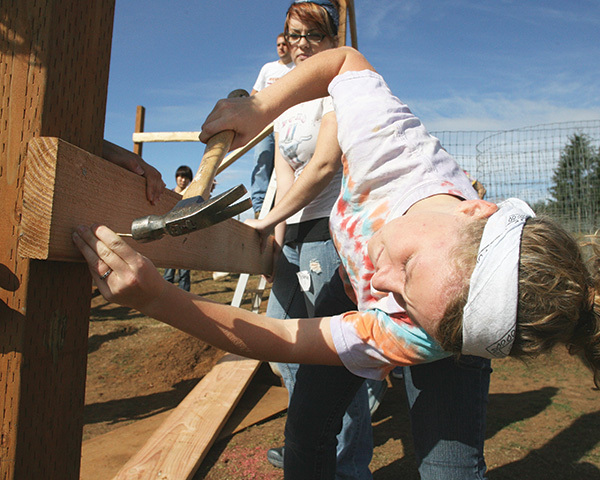 Campus closes for a day in September for the university’s inaugural Serve Day, a tradition that continues today (see pg. 41). The first cadre of Act Six scholars are welcomed to campus. 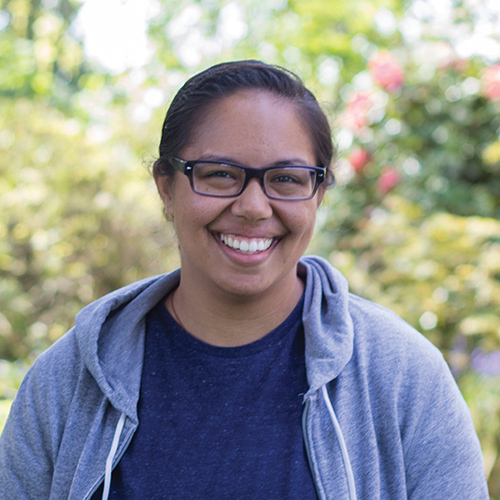 Since that time George Fox has more than tripled its ethnic minority population to 33 percent. 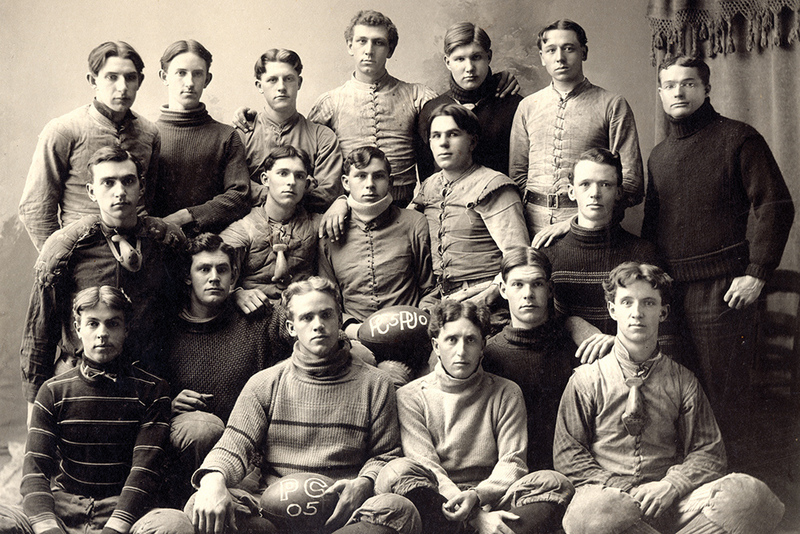 Football returns after a 46-year hiatus from the sport. The school also fields its first women’s lacrosse team. 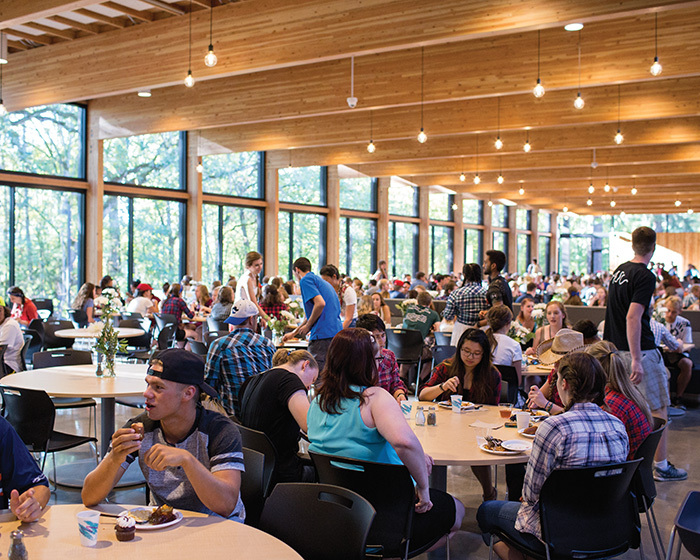 The 30,000-square-foot Canyon Commons dining hall is completed, following the construction of Stoffer Family Stadium (2014) and Brandt Residence Hall (2015).